I finished reading the Sweetness at the Bottom of the Pie this week, and thought it was a fun book. I’m really not into mysteries though, so probably won’t read any more in the series. For those that do enjoy light mysteries, this series is hugely popular! A few weeks back a friend mentioned to me The Brothers Karamazov being one of her favorite novels, and I’ve been wanting to read it ever since. I recently bought a copy and got started this week. This book is somewhere around 900 pages long, so it will take me some time to read it. I get characters mixed up in longer foreign novels with unfamiliar names, and often forget them all together. So, I am writing down each new character as they are mentioned along with a few notes in a journal to help me. Between that though and the sheer heaviness of the book, I need something else to read for those times I can’t use both hands to support the book (The main time that I have to read: while I am nursing Silas.) I just started to reread Pride and Prejudice. I think my book club might be reading it for January, and it only takes one hand to hold it. I cast on a Sunday Sweater for my local yarn store last night. 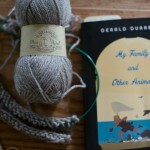 I am pleasantly surprised by the Berroco Vintage yarn that the yarn store owner chose. It’s nice and soft and so far I really like it! I am finished with both of the girls’ Bulles. Hopefully I will get pictures to share next week! What I’m reading is a book I’ve been wanting to for awhile, The Girls Guide To Hunting and Fishing (fiction) by Melissa Bank. I love books that make me laugh out loud ! Thanks for having this Yarn Along, it’s my first ! 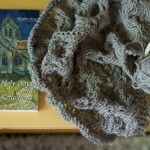 Once again from Italy with your yarn along: a little bit of wooly and a bit of poetry! Berroco vintage is some of my favorite yarn. Great for kids clothes and not too expensive! Their vintage chunky is so soft. Please share the cauliflower recipe. I recently found out I cannot eat potatoes. I’m looking forward to seeing the girls in their bulles. I’ve heard “mashed potatoes” made with cauliflower are really yummy! i love berroco vintage. happy thanksgiving! I am back for my second week. Oh, I love the Sunday Sweater. Thinking I would have to adjust a lot to get it my size, but maybe you can just figure that out one day!! Guest coming, but I’ve finished a project and want a new one!! If only you lived closer! You could join our bookclub. We begin Brother’s K next month after finishing Atlas Shrugged. Great book. I read it in college. Pride and Prejudicd is one of the books I keep going back to read, but never quite finish. Berroco Vintage is awesome, and that’s a great color! I remember those days wanting to read some hardcover book, but not being able to balance it while nursing. I love the purple. that book sounds interesting. you know, that is a wonderful idea, to take notes. i have been finding even in smaller, more simple books i have the same issues as you. lol i think i need to take notes in all the books i read. Gorgeous wool! I have The Sunday Sweater pattern in my knitting bag and I’m hoping if time allows it will be a birthday present for my soon to be four year old baby girl! Right now it’s crazy! I have three projects on the go with a third waiting in the wings, not to mention the sewing vying for attention in the loft room! My reading material is peaceful, simple and quietly challenging! thanks ginny, you and your family have a great thanksgiving. I know how you feel about the big books. I was trying to read Gone With the Wind once while pregnant, and it hurt to rest that huge tome on my belly, and then later while trying nurse. It didn’t work. Not one little bit. When it comes to books like those I think sometimes that a Kindle would be nice. But I would miss the feel of a book. There is something about cracking open a book, smelling the paper and print. Like opening a whole new world! I got a copy of The Brothers not long ago too, I got it and Barnes and Noble, one of their classic editions and it is pretty light. But I think it would still be hard to do nursing. You should also try Doctor Zhivago, if you haven’t read it. And as for the names, I would sometimes giving them nicknames. Terrible if I ever try to discuss the book with someone or if I ever go on Jeapordy, but it worked! Beautiful shade of purple for the sample. I absolutely lurve Pride and Prejudice! Though, Persuasion is fast becoming my new favorite Jane Austen novel. Happy Thanksgiving! I love the idea of writing down the names of characters as they occur — what a great idea! 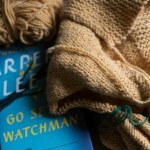 I’m linking up this week with more Newbery winners and some Harry Potter-inspired and holiday knitting. Lovely! Enjoy Pride and Prejudice! Jane Austen is my favorite author. I’ve been re-reading The Hobbit in anticipation of the movie release. I am finding that my must re-read pile is bigger than new books pile…there are so many books I’ve read in my lifetime that require a second reading and I love that my children are reading some of those books for the first time. That yarn is going to be lovely in a sweater. Such a gorgeous colour. The cauliflower is delish, we eat it all the time 🙂 Enjoy and Happy Thanksgiving! I can’t wait to see your sweater, Ginny! 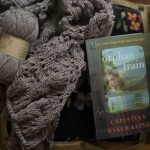 I love when you mention how you like a certain brand of yarn, I am new to knitting and it helps me to learn more about which to keep my eye out for! I read The Brothers Karamazov with my husband when we were dating. Be sure to tell us how you like it! I think this vintage is great if you are looking for a yarn that is machine washable! The yarn store owner sales a lot of it for children’s items she said. I was skeptical because it’s an acrylic blend and I have only knit with 100% natural fibers in the past. 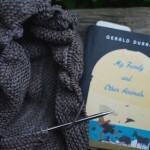 I’m knitting the Sunday Sweater in Berroco Vintage as well! I don’t have much knitting experience, especially with decent yarn. So I have nothing to compare it to, but I am loving how it’s coming together. Your pattern is wonderful, and I’m already planning all the different colors and sizes I’m going to do next, for all the little girls in my life. 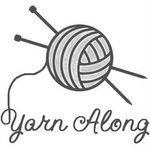 I think this yarn is nice, especially if you want a machine washable sweater! I am really liking how it knits up as well! Pride and Prejudice is a novel that I too enjoy re-reading every couple of years. It certainly is one of my favourites, and as I age new revelations are made to me. A wonderful text without doubt. 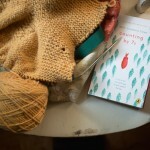 Ditto to Hannah’s comment – reading Pride and Prejudice sure is like wearing an old cardi. …but sometime I wonder if there can be a point of re-reading a novel too many times? Is there a line? A limit? I think this is actually my first time to re-read a book. I can’t remember it well enough (despite having it read it the first time in the last few years) to discuss it at book club! I’m going to be giving your sunday sweater a go in the new year, just as soon as I get through all this christmas knitting! Happy thanksgiving to you all, I think we in the UK need a new excuse for food and gathering – any ideas?! 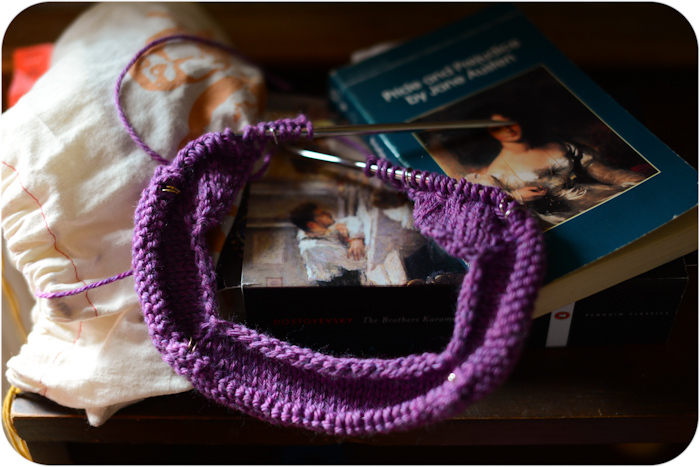 I have been wanting to knit your Sunday Sweater in purple and now am looking forward to seeing the one you are making. I hope you enjoy every minute of tomorrow Ginny. I am preparing cauliflower ‘potatoes’ too, I’ve never had them before so I hope they turn out okay. I recently returned Pride and Prejudice to my “to-read” pile, it’s like slipping on a comfy cardigan! Your purple yarn looks lovely.